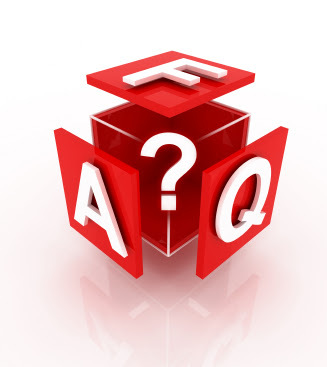 Below are questions we receive from customers as well as general questions asked by overall guitar pedal consumers. You can Press CTRL-F (Command-F MAC) to find key words that may quickly help to find what you are searching for. What does “boutique” pedals mean? Boutique has several different meanings in the guitar effects pedal market. For ALV Pedal, it means that our products are completely handmade, or hand built. By handmade we mean that 1). all pedals are drilled by us 2). Designed by us/custom 3). gloss coated 4). parts and circuits are assembled into the pedal by us 5). all parts to circuits are hand soldered 6). all wiring is point-to-point hand wired and hand soldered 7). all products are packaged and shipped by us. This is a very “boutique” process which takes longer in production than large mass producing effect companies, but allows for a completely original and personal pedal, from us to you, every time. No two ALV Pedals look the same. We enjoy being boutique and have no plans to change. How does a boutique pedal differ from other larger manufactured pedals? Larger guitar effects companies are great and put out great products. There is a place on the market and on pedalboards for both types of pedals. No one can deny that there are some amazing mass produced effects out there like delays, synths, pitch shifters, etc. The difference is usually in quality, price, and production time. Also, most boutique pedal companies will not have products featured in the large retail stores- you’ll find them in smaller, local music stores and shops. The most popular types of boutique pedals are overdrives, distortions, fuzzes, expressions, choruses, delay, loopers, and other utility pedals. Basically analog effects, and utility pedals. The prices are usually higher because they are hand built and the parts are better quality which result in better sound. Most guitarist will use a favorite Overdrive “on” the whole time in their live setup. Well, if this Overdrive is going to be used that much, then it’s better to spend the extra money and get a good quality pedal that’s putting out great, clear quality sound- not sucking tone. If you’re looking for good tone, you should never go cheap on overdrives, distortions, or fuzzes- basically any gain boosting circuits. But large companies like TC Electronics, Eventide, and Line 6 make great mutli-effect pedals which have a place on pedalboards too. Do you ship outside the Indonesia? Absolutely. Shipping prices will calculate during the checkout process. The international shipping method is EMS express post Internationally shipped products are considered “imported products” in your country. We can not lower prices, nor do we have any authority to cut any customs or importing fees, if they apply to your country. What shipping services do you use? Can I get express shipping? We offer* free shipping via JNE, TIKI, or POS for orders inside the Indonesia. Free shipping does not apply to EMS, Express, UPS, FedEx, or any other method. If you would like a different shipping method, please contact us. As long as we have your product in stock (not building to order), then we can ship any other method that you’d like to pay for. Why isn’t there a company address on the website? Will you endorse me as an artist? Endorsements are not for handing out free products. Endorsement programs are “giving and receiving” deals. We are usually the ones looking for people to endorse. These artists, producers, teachers, authors, worship leaders, have a place in the music industry that will benefit our company in promotion and sales, and in return will benefit them with our products based on the type of deal. We love working endorsement deals to test out our products with in the professional music industry. So, if you are one of these people with a full time career in the music industry, then we would love to talk with you. I get asked this a lot. Now, if you look at a pedal you pretty much get the idea. But why the name “ALV” in the beginning? Well, it all started with one pedal. The ALV STOMPBOX. Simple. But it needed a name. It couldn’t just be called the Purple Expression. Are ALV Pedals Indonesian made? Yes. All pedals are designed, assembled, and built in the Indonesia. Some of the parts used like enclosures, switches, knobs, jacks, and other parts for circuits may be made outside the Indonesia (like every electronics company), but all products are built and designed in the Indonesia. Are your parts high quality? Of course. We are considered a boutique company. So not only is everything hand built, but we are always on the look out for higher quality pots, resistors, transistors, opamps, capacitors, jacks, wiring, knobs, switches, everything. This is what separates most “boutique” sounding pedals from standard mass produced, budget pedals. How long do I have to wait for my pedal to arrive once I order? Production time varies throughout the year. If you need a pedal the next day, it’s probably best to contact a dealer. We ship out our pedals as fast as possible, usually within just a few days of being ordered. However, please keep in mind that we are a manufacturer, not a retail store. Because we are a boutique company, our production time does take longer. Many times (for most products), we will have some in stock, but we do not keep large quantities of products in stock because we keep our overhead low and are constantly shipping out to dealers and customers. During holiday seasons and summer, the wait time might be a little longer just because the demand is higher. We are constantly building at 100%, so when you receive your pedal, it was probably just made a few days prior. We are usually pretty fast for a boutique company, but if you have questions about wait times, just ask us :) Thank you for your support in this. As we continue to grow, we will get larger and faster, and our products will continue to spread to a dealer near you. For custom pedals yes. And yes for select models. Some products allow for customization in the store like the ALV Stomp Boutique. Any pedal can be painted/designed another color, but will be treated as a custom pedal- no returns on custom pedals, a longer production time since pedals are built to order, and additional costs will apply. What does a “custom pedal” mean? For us, a custom pedal simply means that you asked for something special in your order. It could be that you thought of something you needed and had us build something completely unique, or just wanted a different color for your looper/Stomp. Either way, it’s a custom pedal. Do better quality parts really matter? Absolutely. Better quality parts, finer tweaked parts, and the right parts for the job all matter. Listen to any of our pedals or mods and “A-B” them with other similar pedals. By using great parts, you’ll notice differences in the high gain pedals like fuzzes and distortions that don’t really have a need for noise suppression or gating because they are already very quiet, making little or no high gain hiss. Another example of quality sound is using higher grade parts in gain structures which result in much cleaner, crisper, and higher quality tone. This is kind of like the difference in the resolutions of TVs- old school low resolution, 720p, and 1080p. The higher the resolution, the clearer the picture. The higher quality of parts, the better the pedal. What does “sucking tone” mean? Our definition of “tone” is the sound that you get when your guitar is plugged straight into your amp. Now… that doesn’t mean good tone. If you have a cheaply made amp and gutiar, you’re going to sound like that. So with that said, “good tone” is when your nice guitar is plugged straight into your nice amp. This is the sound or “tone” that you don’t want to lose when you start plugging pedals in. Tone loss, or “tone sucking” can come from 1). pedals with cheap buffers 2). pedals that are not true bypassed 3). excess amounts of cable length 4). too many pedals in general 5). poor power supply 6). your volume is just too low. Short cable lengths, good power sources with clean grounds, high quality buffers, and true bypass loopers can fix or help your tone loss problems. Are your expression pedals true bypassed? Expression pedals do not produce sound. They only manipulate sound like a knob on the actual effect pedal- true bypassing does not apply. What does passive mean? Why doesn’t expression pedals and other passive pedals require power? For pedals in general, passive simply means that the pedal does not require an extra power source (9V adapter). However, that doesn’t mean that passives (pots, resistors, etc.) do not function without some type of current. For expression pedals, the current comes from the existing pedal that it is being connected to. There is enough current coming from the effect pedal, that once resistance is applied by an expression pedal, it will effect the sound of the pedal depending on how the manufacture set the expression to function. For loopers, passive simply means that the looper just doesn’t need any extra power to work because sound (current) from the effect pedal(s) is only being switched and routed. Any external power is only used to power LEDs or perhaps a buffer in some cases. What does true bypass mean? True bypassing means that when the effect pedal (or whatever is in the “send and “return” loop) is off, then the sound is literally moving straight from the “input” to the “output”, utilizing minimum cable length and bypassing any circuit boards. What’s the difference between a “buffer” and a “true bypass” system? Which is better? A buffer should set your volume to unity. Buffers using higher quality parts, like good opamps, will do a better job of preserving your volume and tone quality coming from your guitar. Essentially, a buffer is a circuit that tries to preserve your tone and true bypassing is a switching system that will bypass “bad tone” or reduce signal length to help preserve tone. Both can be great when used correctly. Both can be bad when buffers are low quality and when using true bypassing with 200ft of cable. You must decide which you need. Most high quality circuits will have a buffer built in. True bypass systems or “Loopers” give you many uses like grouping pedals, bypassing whole pedal boards, etc., which buffers cannot do. What power supply do I need for my pedal? Most 9 volt power adapters used with your effects pedals will work. A great example is the Regulated Power Supply. Help! My looper is plugged in, all the channels are on, and I’m getting no sound! If you are not putting all of the loops to use, then this is what will happen. If a loop channel is turned “on”, but nothing is plugged in the loop (“send” and “return”), then when it’s activated it will be silent because there is nothing there. If you are not using one of the loops, then just keep it turned off. Should I put the volume pedal before my effects chain or after? Is there a difference? Yes, there is a difference, but deciding to go before or after your effects chain is completely up to you and how you want your volume to function. When used before your effects chain, your volume pedal is basically acting like your guitar’s volume control. When used after your effects chain, your volume pedal is acting like your amp’s volume control. This is a big difference. Use “before” if you want to create swells and turn down your volume leaving your reverb and delay “tails” to fade out themselves. Use “after” if you want to control your overall pedalboard volume and use like an amp volume control. This will cut all reverb or delay tails from fading out by themselves- when you turn down or off the volume, all sound is cut. Any more questions? Email us on the contact page and we’ll get back to you. but we already made ​​crafts ensure our products have passed tests / test of endurance and always through various procedures before the order is sent to the customer. Therefore we have always held a lag time after a day in which the booking was made for the results of product excellence so it is not possible faulty goods to destination.